Romelu Lukaku's poor returns in front of goal may be more than the ordinary loss of form. This comes as the latest comments from Manchester United Coach, Jose Mourinho suggests. 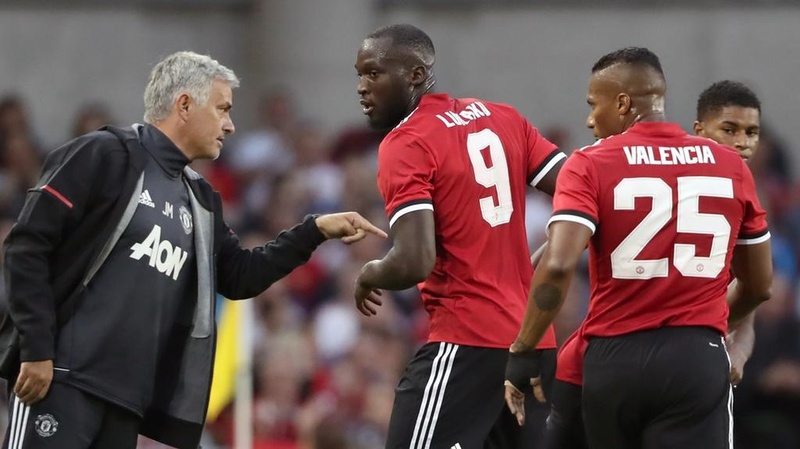 Lukaku was again awful even though the Red Devils got a 4-2 win over Watford on Tuesday night and Mourinho says his mercurial summer signing now needs new scoring boots. "I think he needs a big contract with boots because at this moment he doesn’t have a contract with any brand, that’s why he’s playing with black boots, Mourinho told reporters. "He finished his deal and now he is waiting for the right offer and he is playing in black boots. Mourinho could afford to be sarcastic thanks to two goals from Ashley Young and one from Anthony Martial that gave his side a 3-0 halftime lead, then a superb fourth from Jesse Lingard after Watford threatened a comeback. However, Lukaku’s struggles are no laughing matter. After joining from Everton he scored 11 goals in his first 10 games but has now managed just one in his last 11. "He works amazingly well. Amazing player, amazing professional, great condition, great colleague,” Mourinho said. United’s present tally of 32 points from 14 games is their best since the 2012-13 season when Alex Ferguson’s side went on to win the tile in the Scot’s final season in charge.